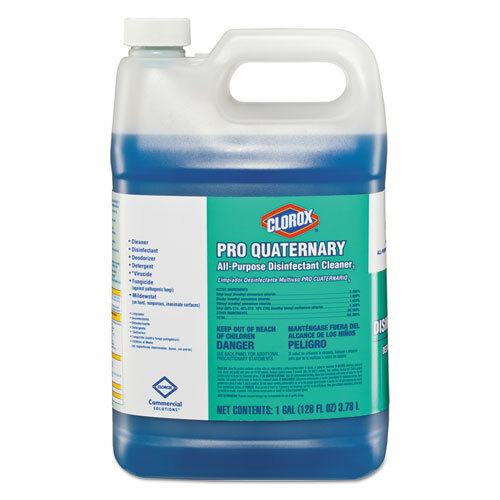 Clorox® Pro Quaternary All-Purpose Disinfecting Cleaner. 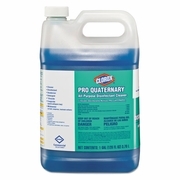 EPA-registered solution provides one-step cleaning and disinfecting. Highly effective against a broad range of microorganisms and pathogens, kills 99% of germs including MRSA & CA-MRSA. Safe for use just about everywhere: floors, walls, counters, appliances – wherever germs may be. pH neutral.